The crew wanted another walk, probably to make up for the rainy walk to Cape Hauy. That one where we went in search of somewhere less wet than Mount Wellington, but we might have found somewhere even wetter. Anyway, that sorted the men from the boys, or at least the men from the whingers. 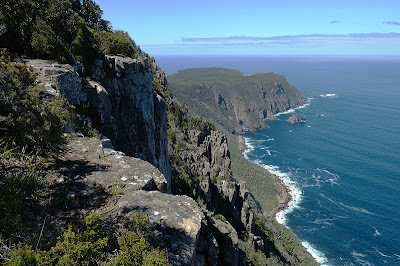 Cape Raoul is a terrific walk, with superb cliff views. 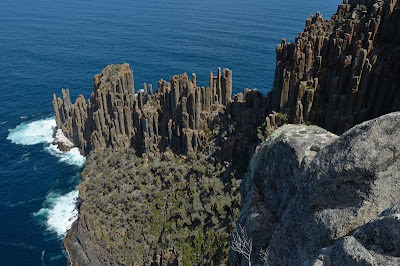 The best is probably from the 400m-high point just before reaching the top of Mount Raoul. The sea is so far away. 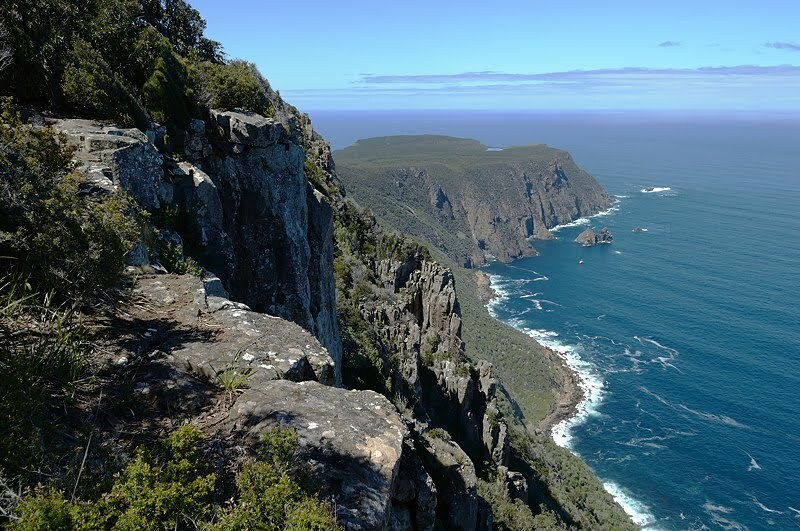 Just to note, at the end of Cape Raoul, you need to go to both lookouts, so take bothe left and right fork. The track comes to a very sudden and precipitous end along the left fork. (It's not much better along the right fork, but you'd have to work harder at falling off accidentally.) If you take children here, make sure they're either with you or sensible enough to self-preserve. The tall cliff lookout is nearly 400m above the sea. Not vertical, but very airy.